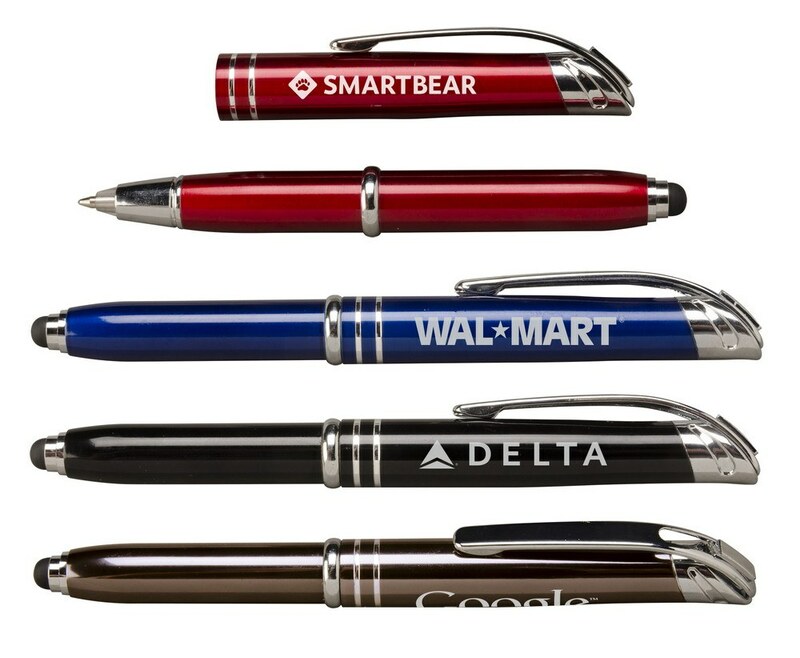 The Zentrio Light retractable ballpoint pen features a chunky classic design and tech friendly Stylus. 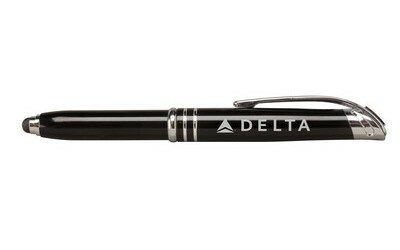 The Hub Zentrio Light and Stylus Retractable Ballpoint Pen, as the name suggests, has enough features to put a Swiss army knife to shame. 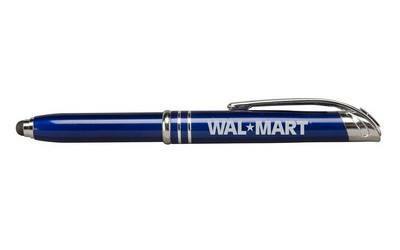 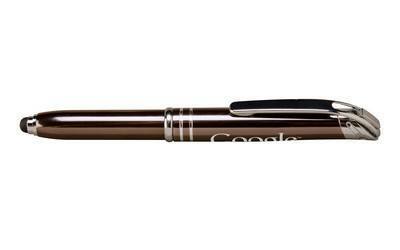 Gift these pens to your clients and watch them be amazed at this little marvel and its Pandora of things built within. 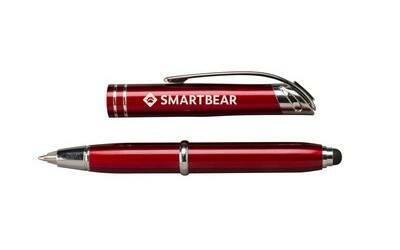 Toggle from taking notes to tapping your touch screen with its stylus in a jiff, and when in need, use the mighty powerful torch underneath its cap.